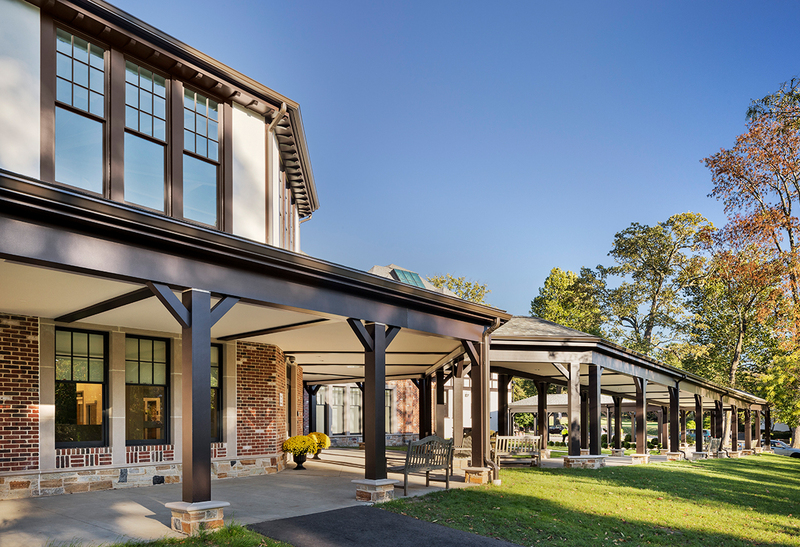 Kent Place School is an independent, non-sectarian, girls day school located in Summit, New Jersey, serving 600 students in Kindergarten through grade 12. The new Center for Innovation is a showcase of the school’s long-range master plan. 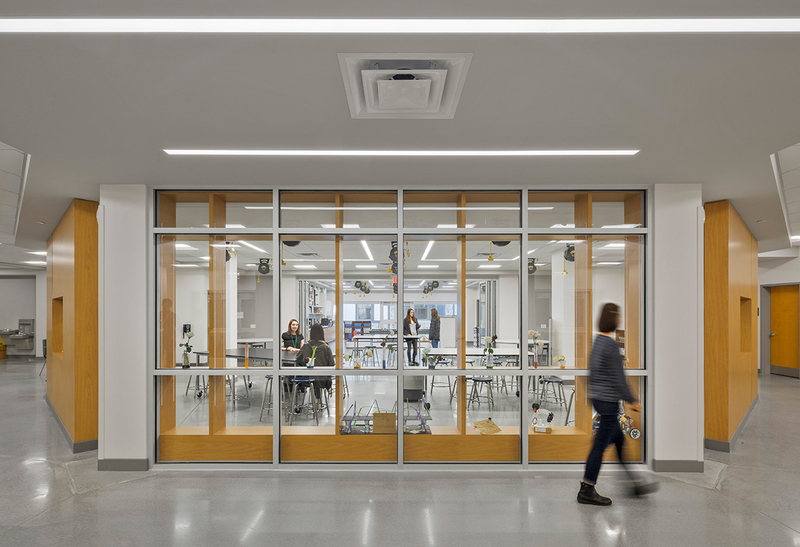 A curriculum vision that interweaves an interdisciplinary approach with the “maker” qualities integral to a project-based learning model is prevalent throughout the building. 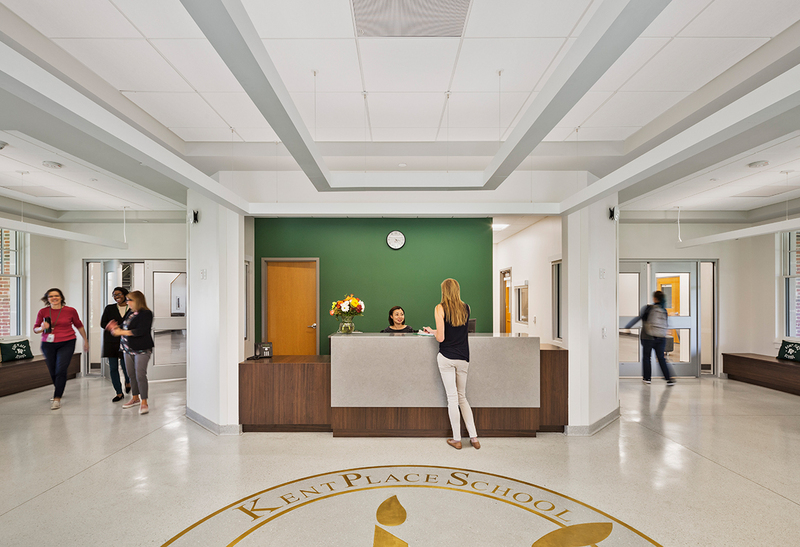 It enables Kent Place to enhance its offerings in science, math, and art-based studies in order to challenge and move beyond 21st-century models for learning. 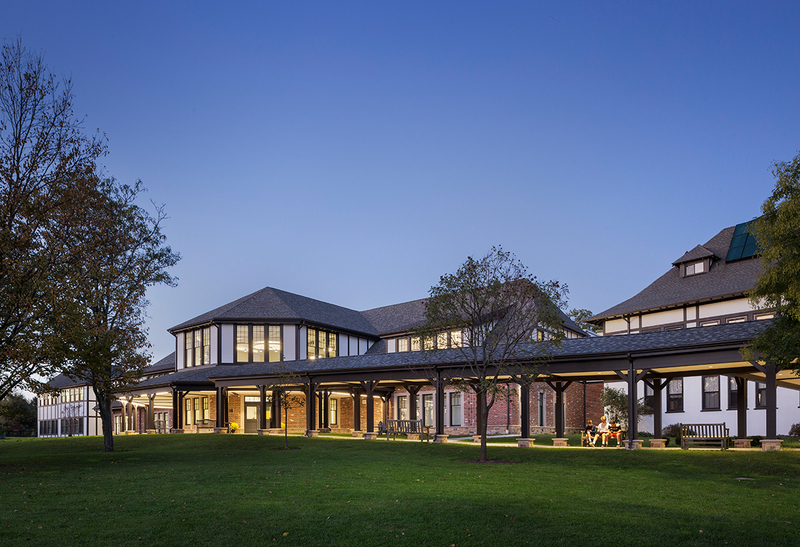 The Center for Innovation, which provides a new “front door” to the campus, features the Innovation Lab, which is strategically located to greet all members of the Kent Place community and promote the school’s mission-related imperatives of interdisciplinary learning, collaboration, and mentoring. 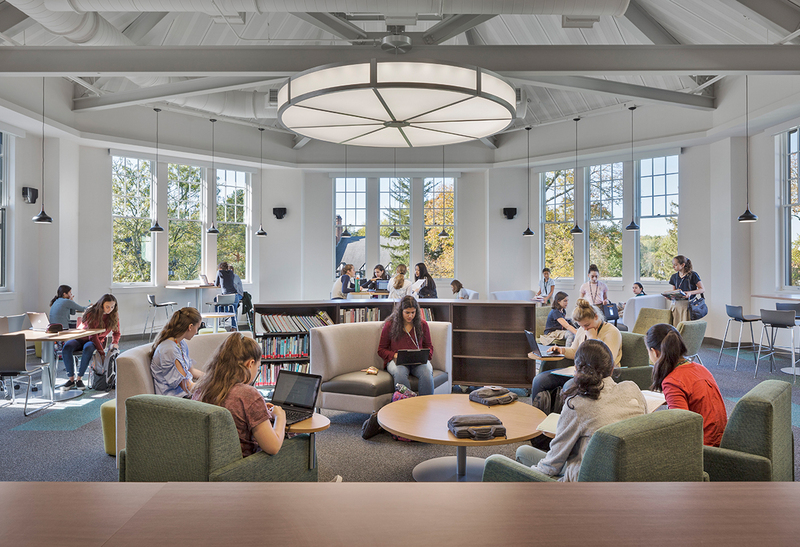 The abundant use of window glazing results in a “see-and-be-seen” environment, communicating the values of transparency and information sharing; the larger, more flexible, energetic spaces supports the introduction of an interdisciplinary STEAM (science, technology, engineering, art, and mathematics) curriculum. 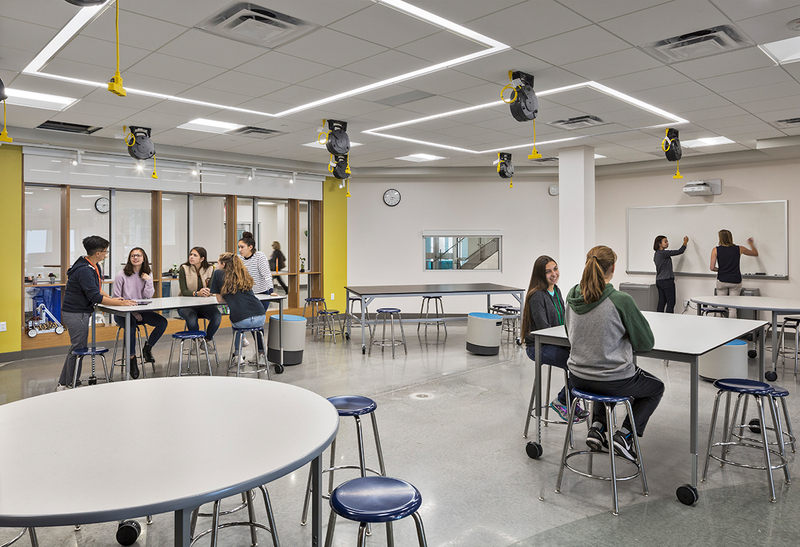 Also on the ground floor are the Upper School art studios, a robotics area, a professional art gallery, meeting spaces, and the technology hub. The centerpiece of the second level is the reimagining of the school’s main library. Predominantly a community space, this area facilitates small- and large-group collaboration and access to media-sharing technology, and presents a spectacular view across the quad to the historic Mabie House. 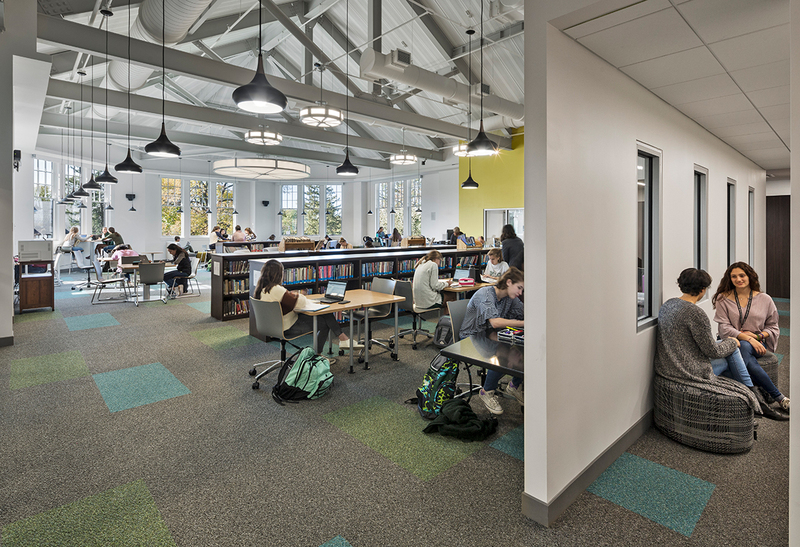 The second floor contains “quiet zones,” along with the math center, math classrooms, labs, the middle school art studio, and group project-based learning areas. In the corridors are a variety of felt-lined nooks and touch-down spaces with seating, ideal for small gatherings of students. 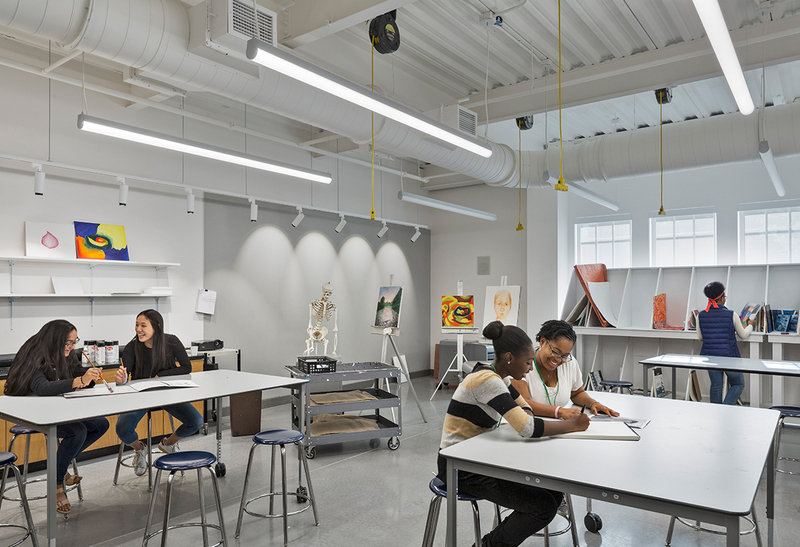 The interior design integrates the qualities of a studio-gallery approach with a modern and crisp aesthetic — a significant use of white and pops of color (mostly in the furniture, much of which is on casters for more flexibility) — and evokes the feel of an exhibition space as it displays the creativity of student work.